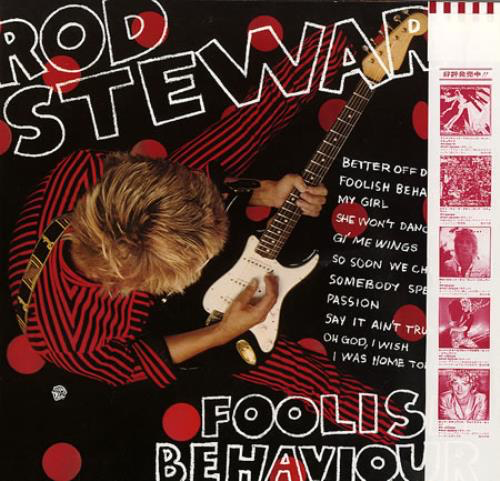 This an almost totally forgotten album from Rod Stewart, sandwiched in between the far more popular "Blondes Have More Fun" from 1978 and "Tonight's The Night" from 1981 and realised during the punk/new wave/ska period. In many ways, it was a complete irrelevance. "Better Off Dead" is a frantic, guitar-driven rocker to open with, full of riffs and rock 'n' roll saxophone. The only hit single, "Passion" is actually an excellent, innovative track, with a mysterious, intoxicating rhythmic backing and a stark vocal from Stewart. It is disco-ish, sort of, but it has some searing guitar in it and some beguiling piano parts. It is one of his most unusual, atypical singles. The title track has some bluesy slide guitar at the beginning and some bizarre lyrics about wanting to kill his wife. It is all tongue-in-cheek, of course, but none the less a little odd. It is a strange song, but infectious at the same time. "So Soon We Change" appropriates the opening riff from The Police's "Walking On The Moon" and continues with a white reggae derivative rhythm throughout. It's a good song, with an atmosphere to it. 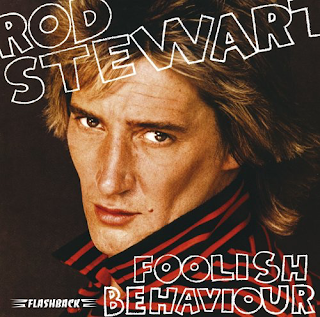 "Oh God, I Wish I Was At Home Tonight" is one of those solid Stewart rockers with nostalgic, yearning lyrics. He always does these songs so well. The thing about albums like this, the last one and the next one is that they were completely out of touch with the music that was going on all around them. They actually sound ok now, but put yourself in 1980 and imagine listening to this. That is probably why I didn't, back then. There was so much better, new, and exciting stuff around. "Gi' Me Wings" is a chugging, unremarkable rocker. "My Girl" is a similarly ordinary-ish slow number. "She Won't Dance with Me" is a very Stones-esque rocker sounding so much like "Respectable" its untrue. "Somebody Special" is laid-back, easy-listening, harmless rock. Unlike its title, though, it isn't particularly special. "Say It Ain't True" is a soulful late night ballad, with a good guitar solo in the middle. There is some acceptable material on this album. It is certainly much better than 1983's "Body Wishes" or 1984's "Camouflage". It suffers from having nothing really distinct on it, something that really sticks in the memory. The bonus track, a storming live version of "I Just Want To Make Love To You" shows that Stewart could still sing the blues. There is also an extended version of "Passion" which has Stewart in a Rolling Stones "Fingerprint File" vocal mode.